From Pakistan to Chechnya, Sri Lanka to Canada, pioneering women are taking their places in formal and informal military structures previously reserved for, and assumed appropriate only for men. Women have fought in wars, either as women or covertly dressed as men, throughout the history of warfare, but only recently have they been allowed to join state militaries, insurgent groups, and terrorist organizations in unprecedented numbers. This begs the question - how useful are traditional gendered categories in understanding the dynamics of war and conflict? And why are our stories of gender roles in war typically so narrow? Who benefits from them? 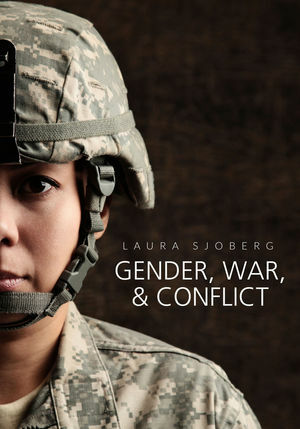 In this illuminating book, Laura Sjoberg explores how gender matters in war-making and war-fighting today. Drawing on a rich range of examples from conflicts around the world, she shows that both women and men play many more diverse roles in wars than either media or scholarly accounts convey. Gender, she argues, can be found at every turn in the practice of war; it is crucial to understanding not only ‘what war is’, but equally how it is caused, fought and experienced. With end of chapter questions for discussion and guides to further reading, this book provides the perfect introduction for students keen to understand the multi-faceted role of gender in warfare. Gender, War and Conflict will challenge and change the way we think about war and conflict in the modern world. Laura Sjoberg is Assistant Professor of Political Science at the University of Florida. Chapter 2. Where are the Women? Chapter 3. Where are the Men? "Laura Sjoberg's book is a feminist international relations primer for the real world. She shows that we can’t understand - let alone end - wars and conflicts if we don’t understand the masculinities and femininities that fuel them. This is the book that everyone - students, academics, and policy-makers - needs to read."